When most people picture a national park, they imagine the glaciers, wildflowers, lakes, and blue skies of the Rocky Mountains. But there's more to this area than just mountains. From historical lands to sand dunes, this region offers amazing parks to all who visit. Learn about each one and plan your trip now. Created by the forces of water, carving amazing pinnacles and gullies, The Badlands and its cliffs have been transformed for the past half million years. The Badlands Wall may not be the typical attraction for some tourists, but the landscape of Badlands is a sight to behold. This 27,705-acre Colorado park draws fewer than 180,000 visitors per year, making it one of the least visited national parks in the U.S. national park system. No other canyon in North America combines the narrow opening, sheer walls, and startling depths visible here. With over 700 miles of trails, Glacier is a hiker's paradise for adventurous visitors seeking wilderness and solitude. Relive the days of old through historic chalets, lodges, transportation, and stories of Native Americans. In this high mountain valley are the tallest dunes in North America, flanked by some of the highest peaks in the Rocky Mountains. 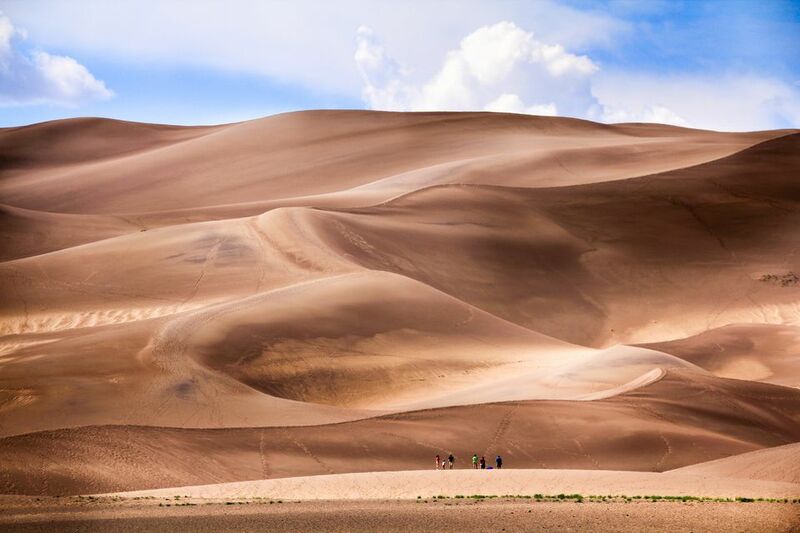 The park and preserve protects much of the Great Sand Dunes' natural system, including alpine tundra and lakes, forests, streams, dunes, grasslands, and wetlands. The dunes were deposited over thousands of years by southwesterly winds blowing through the passes of the Sangre de Cristo Mountains. Depending on the time of day, the dunes turn different shades of rust, brown, pink, cream, gray, and gold. Brad McGinley / Getty Images. Situated in the North Dakota badlands, Theodore Roosevelt National Park is home to a variety of plants and animals, including prairie dogs, bison, and elk. This park features one of the world's longest and most complex caves, with an outstanding display of boxwork, an unusual cave formation composed of thin calcite fins resembling honeycombs. The park also includes one of the few remaining mixed-grass prairies, home to native wildlife such as bison, elk, pronghorn, mule deer, coyotes, and prairie dogs.